Williams F1 Team Principal and Founder. 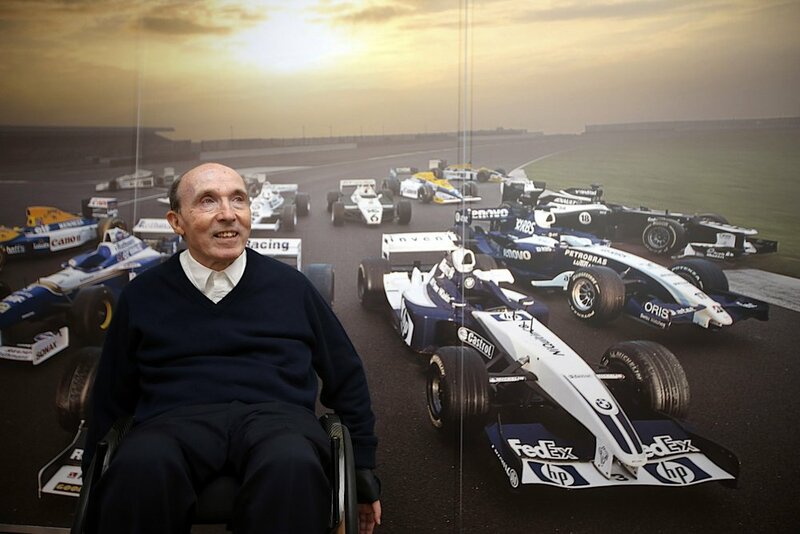 After a brief career as a driver and mechanic, Frank Williams founded Frank Williams Racing Cars in 1966. After running cars in Formula 2 and Formula 3 for several years, he purchased a Brabham Formula One chassis and ran Piers Courage throughout the 1969 Formula One season, twice finishing in second place. In 1970 Frank undertook a partnership with chassis manufacturer De Tomaso, but it ended with the tragic death of Courage at the Dutch Grand Prix. The following year Williams ran Frenchman Henri Pescarolo in a March and in 1972 the first F1 car built by the Williams works, the Politoys FX3 designed by Len Bailey, hit the track. Unfortunately, Pescarolo crashed and destroyed it at its first race. The team's first win came in 1979 when Clay Regazzoni drove the Cosworth powered Williams FW07 to victory at the British Grand Prix at Silverstone. Their first Drivers' and Constructors' championships both came in 1980, with Australian Alan Jones winning the drivers' championship and the team winning the constructors’ title by 54 points. Between 1979 and 1997, the team won seven drivers' championships, nine constructors' championships and a total of 113 wins. A road car accident near the Paul Ricard circuit in March 1986 resulted in Frank sustaining a spinal cord injury and rendered him unable to walk. In 1987, the Queen awarded Frank the title of CBE and he was knighted in 1999. He is also one of only a few non-Frenchmen to have been made a Chevalier of France's Legion d'honneur, accorded for his work with Renault engines. In 2008, Frank was awarded the Wheatcroft trophy for his contribution to the motorsport industry. COURTESY OF Williams Grand Prix Engineering Ltd.